Marketing and content can’t exist without each other. 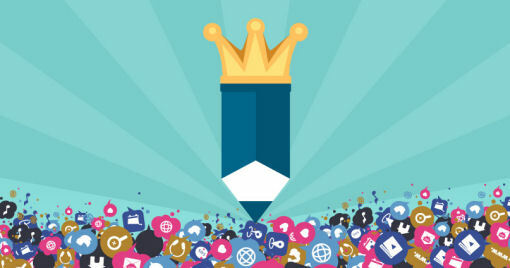 More than 90% of companies use content for promotional efforts. I have no idea how the other 10% is still alive. You must have heard about content being royalty about a thousand times. But how can you make the king work for you? Doesn’t that sound counterintuitive? Creating compelling content requires a special approach. After all, it must be unique, exciting, appealing, useful, concise, easy-to-understand, and actionable. Doesn’t sound too easy, huh? Below, let’s discuss a few ways to create amazing content that virtually does your marketing work for you. All you have to do is post it in the right places. What are the audience’s demographics, such as age, gender, life stage, education, relationship status, disabilities, income, profession, and lifestyle? By the way, you can do it for free. What problems does your audience face? What hobbies does your audience have? What are their social habits? A common method many companies use is to create a fictional character with the demographics and habits of your target audience. For example, a middle-aged married man named Pete, who lives in New York, loves watching football, has a $60,000 yearly income, and the like. Then whenever you start writing content, imagine a group of Petes reading it. What problems can your company solve? What are your business’ values? What is your brand’s logo? What is your company’s voice? What are the key qualities your company has? Go further to view your brand as a person. Let’s call her Julie. Julie sells flowers. She can help people get ready for a special occasion. Her goal is to keep customers satisfied and ready to bring in new clients. Her values include passionate care for quality. And so on. Now when writing content, imagine how Julie is sharing her thoughts with a group of Petes. Smart tip: Go and read what the competitors are writing. You can get inspiration from their publishings. Brainstorm: Talk to your team, friends, family or anyone you consider a smart adviser. Brainstorming shouldn’t be limited to the marketing team. Employ a contrarian approach: look at your information from another point of view. Be provocative about something that seemed bland to you before. Make up a story: Stories work well when you need to push a boring concept through. They are easy to remember and more fun to share on social media. Do interviews: When you interview people in your business, you can get amazing ideas. In the process, you can create excellent videos for your content marketing efforts. Join communities: Interacting within online communities helps you understand what your target audience is looking for. You can find content gems during informal discussions with Pete. Here is the boring part but a much-needed one. According to experts from a digital marketing company Miromind, keyword placement can make or break your content. After all, if you want the content to promote your company, one of its key goals is to get your website to the top of the search engine pages. Keyword search is time-consuming and complex. It’s better to be left up to the professionals. But you can take advantage of a few DIY tools as well. Just make sure you have a list of keywords to work with BEFORE you start writing content. Sticking them in after the job is done is akin to a disaster. Julie won’t be happy. Unless your target audience is college professors with 30 years of experience in a certain sector, your content should be relaxed and readable. Stick to short sentences. Forget about professional jargon (leave it to the professors). Keep it simple. If you want to find out how understandable your text is to your audience, you can do the Flesch-Kincaid test. The problem with the test is that if your score is bad, fixing the text will be terribly hard. So do it right from the start. Imagine Peter reading your content after a hard day at work and a few beers. Will he enjoy it? Your average sentence shouldn’t exceed 20 words. The paragraph can’t be more than two or three lines. Bullet points are vital for easy skimming. Images and videos can diversify your content. If you want the content to promote itself, it must look nice. Not just on the website. It must be suitable for social media and mobile gadgets. The best content you can come up with is shareable content. When writing your piece, think about it. Will Pete want to share this with his friends, family, coworkers? Make Pete part of your marketing team by giving him content to share. Simplify the sharing process by designing your content in the best way to be shared on social media. All the sharing buttons and links must be readily available. 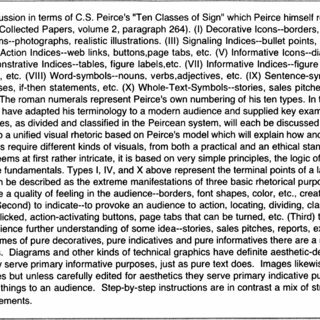 So while looking for a nice subject to write about, consider Pete’s opinions. If he thinks that roses are the only flowers suitable for the anniversary, write about roses being amazing flowers for anniversaries. Why not? Such an approach works great for subjects people have polarized opinions about. Don’t worry about losing the guys, who don’t agree. Those who do will do the word-of-the-mouth work for you in the most amazing manner. One of the simplest ways to get Pete to share and comment your content is to talk about his values. Make sure Julie’s values align with Pete’s. 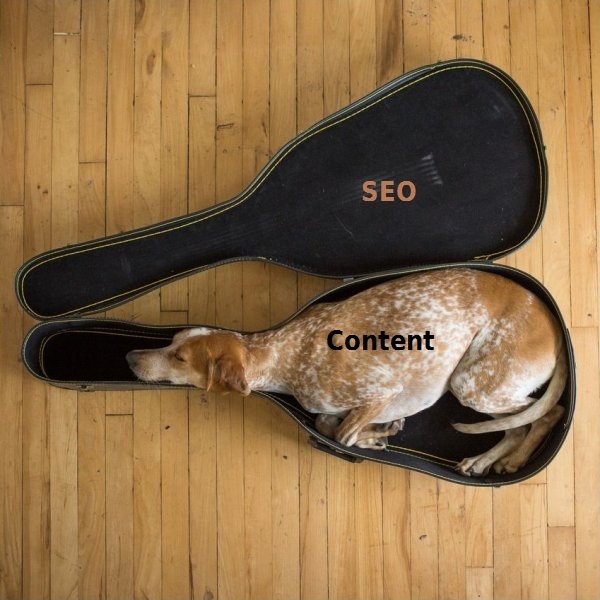 Connect their values in your content. How do you do that? By going back to point one. If you know some general information about your audience’s interests, you can easily come up with a subject. Is Pete a football lover and a father? Go on, talk about the positive way sports affects the community, and how the products you sell can improve the positivity. You can learn more about Pete’s values by looking at his comments under your previous posts or running a survey. Here is some more boring stuff for creative writers and vital actions for marketing specialists. Content can only work if Pete sees it. That’s where SEO comes in. All this is just the tip of the iceberg. An SEO expert can tell you more about optimization. Can you make funny content? If you do, you’ve got Pete’s attention. Everyone loves humor. But only a few writers can make it work for the audience. If you can find a way to make Pete laugh, your conversion rate is bound to increase. Humor is an excellent way to establish trust, catch the audience’s attention, and make the reader stick with your text. I’m not saying you should be making “knock-knock” jokes at every corner. You can start by taking up a light-hearted tone and an entertaining manner. Jokes may come on their own. A piece of advice: If you think you made an amazing joke, run it by someone before publishing. Just in case. Creating original content is often tough and time-consuming. It may not always be interesting to Pete. Meanwhile, talking about someone else’s content and sharing your opinion can be a winning strategy. You can also consider doing a case study on what someone is doing. What have they done right? What have they done wrong? How can readers learn from their actions? Coming up with an opinion is always easier than sharing original thoughts. Such content also gives you a chance to ask for Pete’s opinion and encourage him to share. Creating compelling content for marketing purposes is much tougher than, say, writing a book. It needs to be engaging, well designed, concise, shareable, and SEO-optimized. You can simplify the content-making task by keeping the above steps in mind. Allow your content to work for you in as many ways as possible. Start writing today! Josh has 10 years of experience in the IT industry as a web developer and cloud computing expert researching extensively for techendo.com. He frequently writes about IT and branding efforts. In his free time, you will often find him taking a walk, or playing video games.